Alta Equipment Company joined local, state, national and international officials and business representatives on July 17 for the official groundbreaking of the new Gordie Howe International Bridge in Detroit. 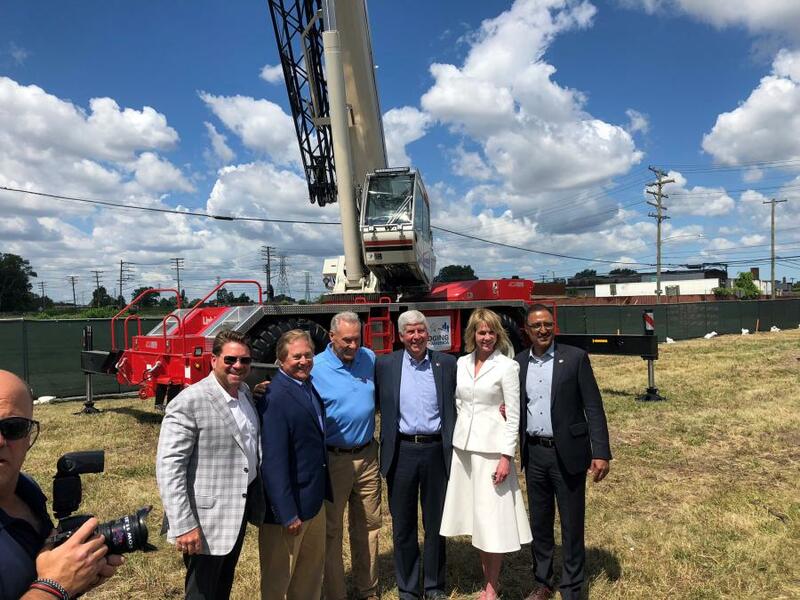 Alta Equipment Company joined with local, state, national and international officials and business representatives on July 17, to officially break ground on the new Gordie Howe International Bridge at an invite-only ceremony in Detroit. This new bridge, planned and delayed for more than seven years, will connect the Delray district of Detroit to Windsor, Ontario, marking a new option for travel between the United States and Canada at one of the most-used commercial and individual border crossing points. This $4.5 billion project will create a new connection between the nations across the Detroit River two miles downstream from the current Ambassador Bridge. During construction, it is anticipated that more than 100 pieces of heavy equipment will be needed to facilitate work. Alta Equipment Company, founded and headquartered in Detroit, was invited to the groundbreaking, representing machinery from Volvo Construction Equipment and Link-Belt as the largest heavy equipment dealer in the Midwest. Rob Chiles, president of Alta Equipment — Construction, is excited to see this project move forward given the enormous opportunity it represents for employers in the region and the overall Detroit economy. With the groundbreaking, work on the new bridge enters the earliest stages, with the next few months expected to feature largely site preparation and testing work. Construction is expected to take four to five years to complete, with opening of the bridge anticipated in 2022 or 2023. By September, the Windsor-Detroit Bridge Authority — the agency in Canada with project oversight — is expected to award the construction contract and hold an official groundbreaking at the Windsor terminus of the new bridge. Major construction also is expected to begin at this time.